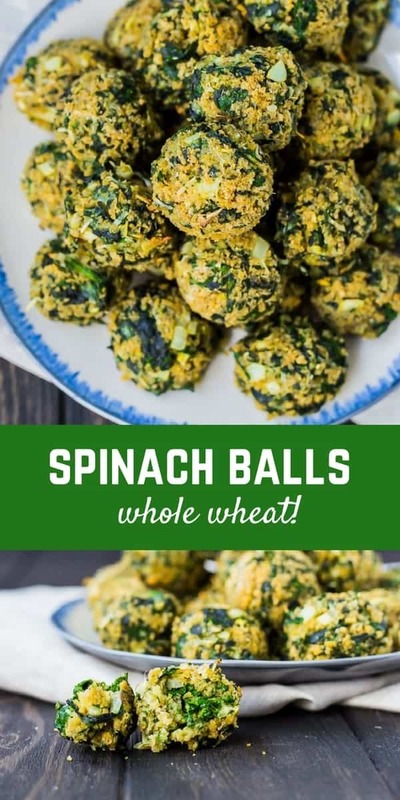 Spinach Balls are great hot and fresh out of the oven but are also great as they cool to room temperature, making them a perfect appetizer! These are always a huge hit! Holy cow, you guys. I don’t remember summer being SO HARD in the past years. I mean, it’s SO HARD to get any work done. I don’t know if it’s the kids or just a general lack of motivation, but I’m struggling. BUT I’m going to make the most it and do a ton of fun things with my kids this summer. I might even try to sleep for more than 5 hours a night, too. Right now I have two or three hours of kid free time for the first time this summer. I have a list approximately 2389124891428912489 items long and 3 hours to accomplish everything. There are baby ducks and baby swans (SWANS!) swimming in the river outside the window of the library where I’m working. And darling little kids feeding the ducks and swans. It’s not helping my productivity. 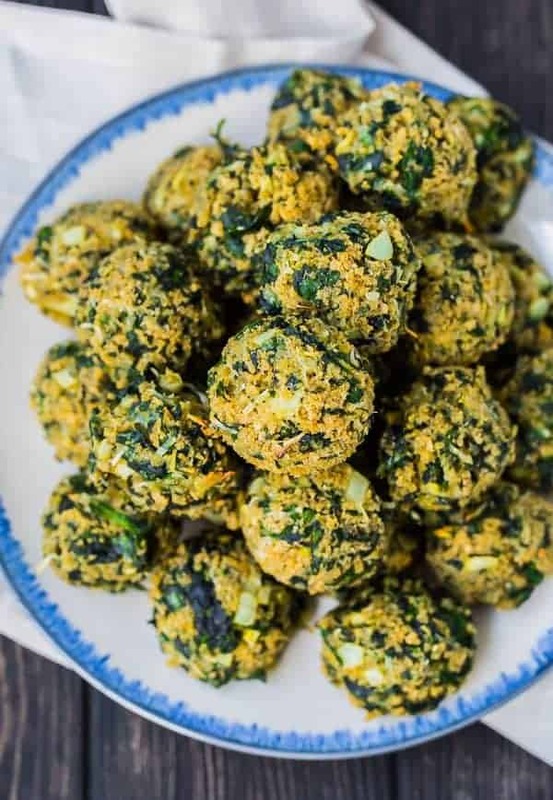 Also, I realize at first glance, this recipe for spinach balls may appear more suited for Christmas parties or New Years Eve parties (they would be perfect for NYE), but let me assure you, they’re perfect for summer parties too. 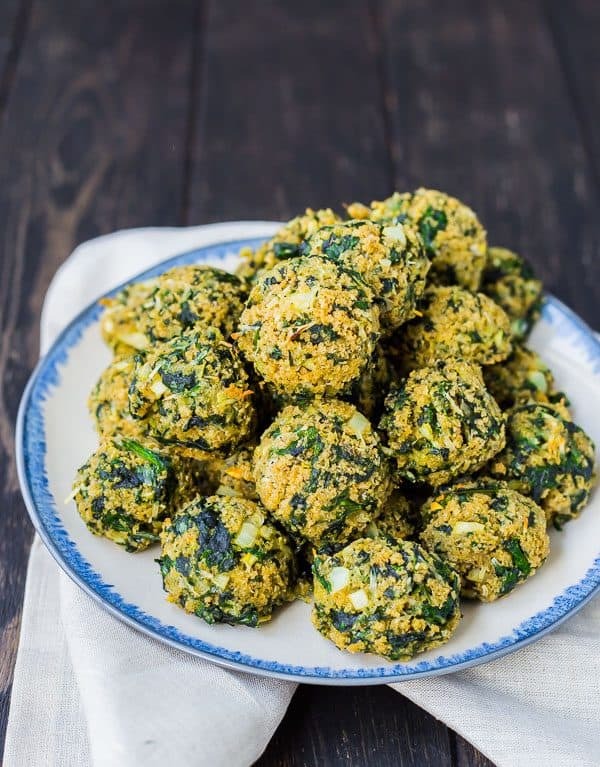 The first great thing about these spinach balls, especially in summer time, is that they are terrific fresh out of the oven, but also absolutely fantastic as they cool to room temperature. Meaning the last one is going to taste just as fabulous as the first one. The next time that is great is that you can roll them a couple hours in advance and bake them right before your guests arrive. Another absolutely fantastic thing is that these have some nutritional benefits, unlike some appetizers you might find at parties. I would eat these with a salad for lunch. They’re packed with spinach, whole wheat bread crumbs, and eggs. I brought them to a Memorial Day BBQ with my whipped feta dip and they were both a huge hit. My mother-in-law raaaaaaved about these (and kept the leftovers!). They’re really quite easy to make. I used fresh spinach but you could use thawed frozen spinach to take a step out of the equation. 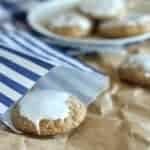 In order to perfectly portion them and speed up the ball rolling process, I used one of my favorite kitchen tools, a cookie scoop. It’s great for cookies, of course, but it’s also perfectly suited for meatballs, spinach balls, and energy bites. 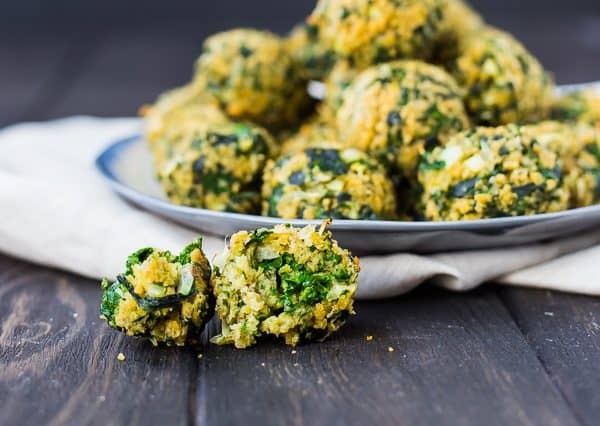 For these spinach balls, I use a 1.5 tablespoon scoop, or a #40. Also, do yourself a favor and bake these on parchment paper (this is the kind I currently buy). Quick and easy cleanup! Spinach Balls are great hot out of the oven but are also great as they cool to room temperature, making them a perfect appetizer! Always a huge hit! In a large pan with cover, heat 1 tablespoon of water and spinach over medium heat, covered, until wilted. Stir occasionally as needed to wilt all the leaves. Put spinach in a fine mesh strainer and push out all the liquid using the back of a spoon. Place on a cutting board and chop finely. 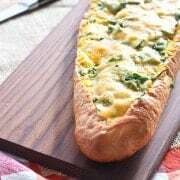 In a large bowl, add spinach, Panko bread crumbs, Parmesan cheese, onion, eggs, butter, garlic powder, Italian seasoning, black pepper, and nutmeg. Stir until well combined. Roll into small, even balls (I use a 1 1/2 tablespoon scoop). 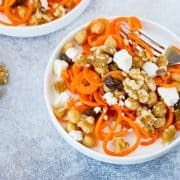 Serve immediately or cool completely before storing in an airtight container in fridge. Verdict: I love these — if you come to a party at my house, you might be seeing them! Or you might be seeing a store-bought veggie tray because it’s summer and I don’t have my you-know-what together. 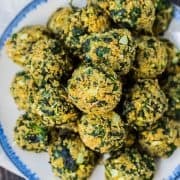 Husband’s take: Ben loves these spinach balls! Changes I would make: None are necessary, but you could try them with a mix of kale and spinach. You could also try them with a pinch of red pepper flakes for a little spice. These were so delicious! I cut the recipe in half but they were quickly gone at the party I was at. Will make the full recipe next time! So glad you liked them! They are great for parties! If made the previous day and stored in the refrigerator, does one just let them cone to room temperature? They’d probably be okay that way, or you could heat them in the oven just until warmed through. Perfect ! Pinned ! Will be back !